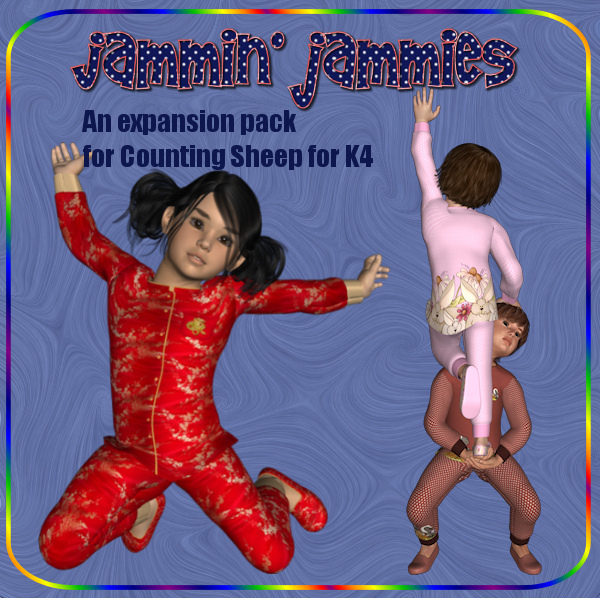 Jammin Jammies is an expansion texture pack for Counting Sheep for K4. There are 8 textures each for the top, pants, and slippers. DAZ shaders are included as well as Poser shaders. 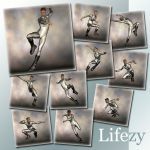 This product was tested in Poser 7/8, PoserPro, PoserPro2010, DAZ 2.3/3.0, and should work in Poser 6.